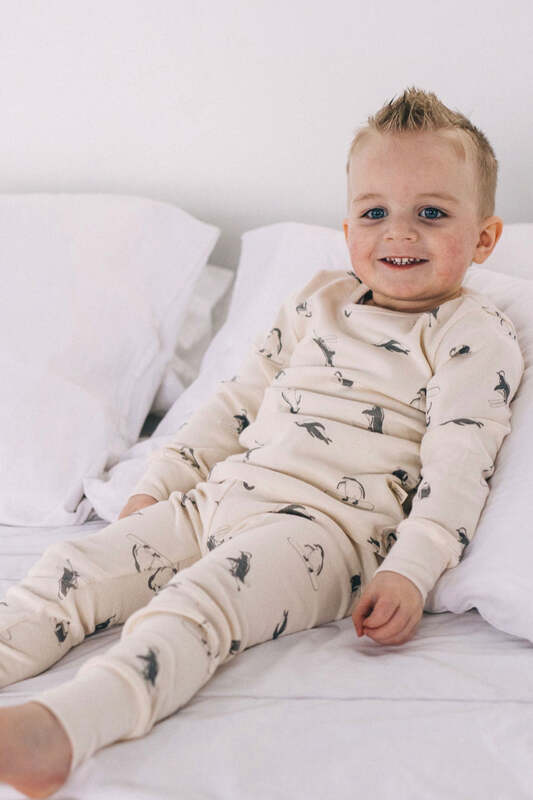 The Modern Dino Pajama Set is just what your little rugrat has been waiting for! 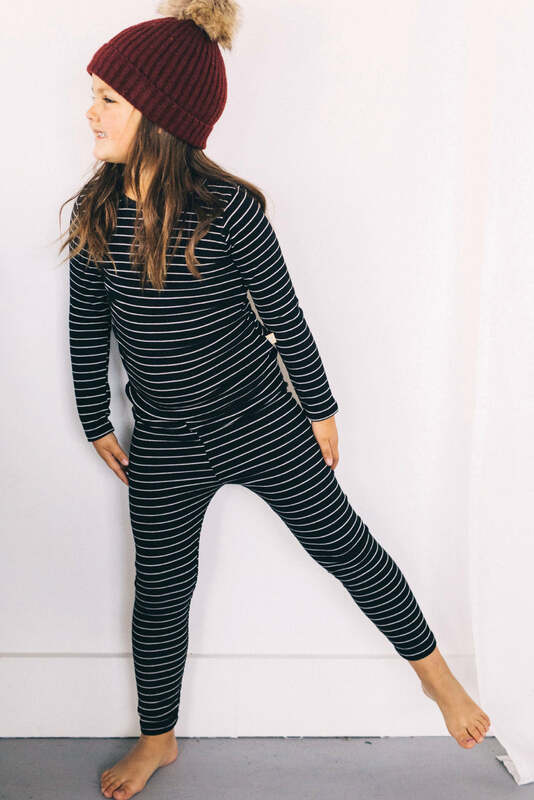 Made from super soft organic cotton, these jammies will keep your little one cozy all night long. 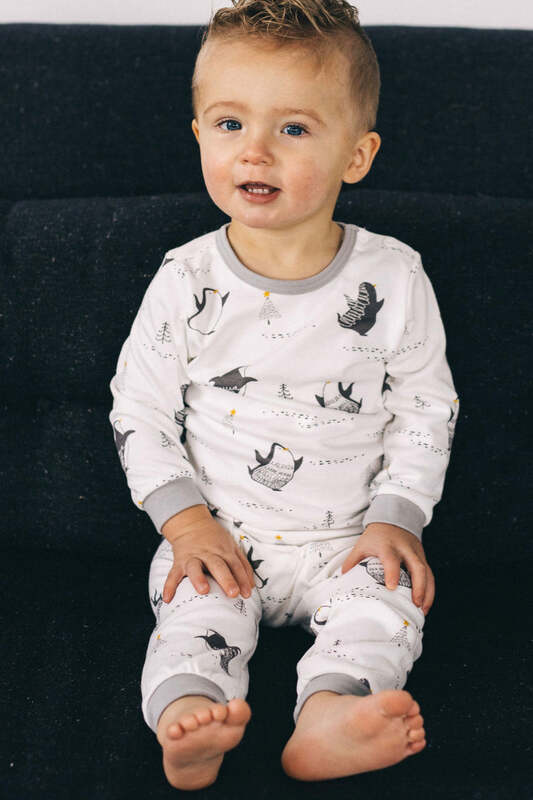 This set features a super fun subtle pattern of dinosaurs that will please your toddlers eye, as well as your own!